CHICAGO (AP) — Following a year when Chicago led the nation in homicides with more than 500, the city's Police Department said Wednesday that in 2013 the city recorded the fewest killings since 1965 and saw its overall crime rate fall to level not seen since 1972. The city, which ended the year with a 16 percent drop in crime, saw the numbers of violent crimes, including robbery, aggravated battery and criminal sexual assault drop significantly — some by double digits— as well as drops in burglary and motor vehicle theft. But it has been the city's homicide rate, especially the toll on young people, that has captured national attention. 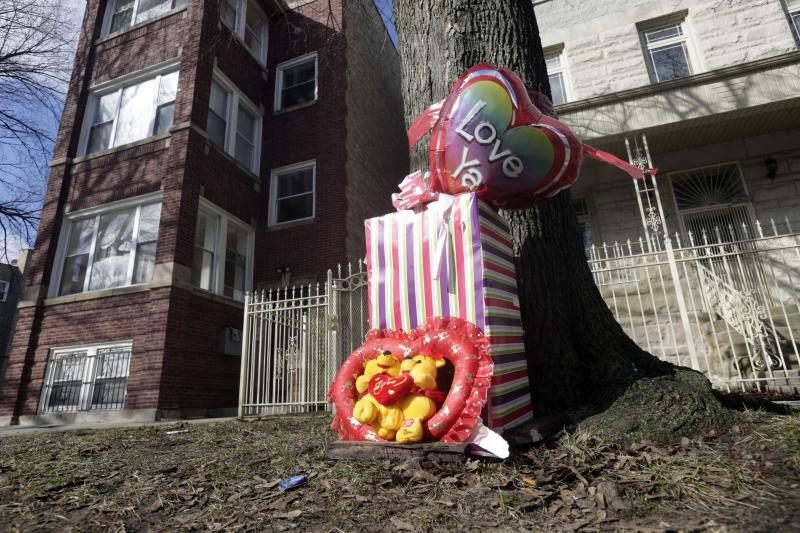 The year did not start promisingly, with more than 40 homicides recorded in January, including that of 15-year-old honor student Hadiya Pendleton, who was gunned down a mile from President Barack Obama's South Side home. But the rate slowed considerably after that, and by the end of the year the city had recorded 415 homicides, 88 fewer than in 2012 and 20 fewer than in 2011. "We are making significant progress by putting additional officers in high-crime areas, using intelligence to prevent retaliatory shootings, moving officers from administrative positions back to the streets," Police Superintendent Garry McCarthy said in a statement. One reason Chicago has been in the national spotlight is that in recent years it has recorded more homicides than larger cities like New York City and Los Angeles. That was again true in 2013, with New York recording 333 homicides, the lowest number since comparable record-keeping began in 1963. And, according to the Los Angeles Times, as of Dec. 28, there were 250 homicides in LA, compared with 298 the year before. In Chicago, the police also said the number of shootings fell 24 percent from 2,448 to 1,864 between 2012 and 2013, and the number of shooting victims dropped from 3,066 to 2,328 for the same period. Further, the department said every police district in the city saw a reduction in crime and all but four of the city's 22 police districts saw the number of homicides either fall or remain the same as the year before. The department and other city officials have pointed out that the drop in homicides, shootings and other violent crimes coincides with changes in police strategies, including tactics targeting violent street gangs that are responsible for the vast majority of the city's gun crimes and, significantly, about $100 million in overtime pay for hundreds of officers deployed nightly to high crime areas. Mayor Rahm Emanuel has said that besides putting more officers on the street, various programs for young people have played a role in bringing the numbers of violent crime down. At a recent news conference, for example, the mayor said that a record 20,000 young people were involved in the city's summer jobs program. "Not one of those kids was affected by gun violence this summer, and I don't believe for a minute that if they didn't have jobs they would be safe," he said.